The set-up of the community sanatorium “Cervello” is due to the noble undertaking and persistency of Vincenzo Cervello, professor at the Department of Pharmacology at the University of Palermo. Vincenzo Cervello was born in Palermo on 13 March, 1854 and died in the same city on 4 December, 1918. He was town councillor, dean at the Faculty of Medicine, president of the Medical Science Academy, health care director at Catania and Messina local administrations during the plague epidemic in 1887, gold medallist for public health, founder and director of the magazine “Journal of Pharmacology and Therapeutics”. He spent time and effort in the fight against tuberculosis. 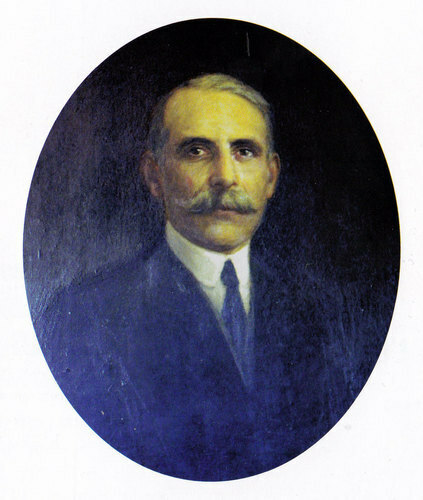 Thanks to him, Palermo was one of the first towns committed to fighting against tuberculosis, initially through the Palermo’s Association for Tuberculosis and subsequently through the above-mentioned community sanatorium bearing his name.